Our setup contains exim + dovecot running imap on CPanel/WHM dedicated server. Dovecot imap using maildir format and default location for storing mail is /home/vmail/$domain/$user. # exists in the home directory. Above configuration will instruct exim to route any message if you found .vacation.msg file in the home maildir of user. You can edit the maildir location to match yours user maildir. .vacation.db will save all the mail addresses to whom it auto-replied the messages. You can edit the maildir location to match yours user maildir. subject "Unmonitored Mailbox [Re: $h_subject:]"
These two files in any user maildir will makes it auto-reply. Please use comments for any questions. In this howto I will describe how to edit initrd.img from iso file to add new drivers in RHEL 6.x. We face an issue to add 40G t4_tom chelsio card driver inside initrd.img to start kickstart installation from Network. The initrd.img comes with RHEL 6.x ISO doesn’t contain this driver and hence we were unable to start kickstart installation from network. Chelsio provided DriverDisk but it doesn’t work because it require to provide it using any dvd or usb drive, which is impossible if you installing large number of nodes and away from your DataCenter. This method can work for any add/edit initrd.img file. For my work I used RHEL 6.5. Before doing it you should have one server running with RHEL 6.5 and updated driver. 4. Update driver information from modules. * to initrd.img modules. * files. I will used chelsio driver information here and it can be different for you. You need to confirm which hardware driver you will used to insert in initrd.img and its information from modules. * files. This will recreate all modules. *.bin files using required driver information using modules. * files. This required because without this initrd.img will unable to load newly inserted driver. Your initrd.img is ready and you can used this new initrd.img to replaced stock initrd.img to start kickstart installation or network boot. In this howto we will setup bridged networking to dedicate physical network device to KVM virtual machines/servers. Its best way to have local network between virtual machines and provide better performance. This will create bridge (br0) device file in /etc/sysconfig/network-scripts/ and take all settings from eth0 to configure itself with configure eth0 to use br0. After this stop NetworkManager and start network service to start bridge at startup. You can now create or edit your virtual machine to use bridge network device (br0). GlusterFS is an open source, powerful clustered file system capable of scaling to several petabytes of storage which is available to user under a single mount point. It uses already available disk filesystems like ext3, ext4, xfs etc to store data and client will able to access the storage as local filesystem. 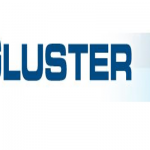 GlusterFS cluster aggregates storage blocks over Infiniband RDMA and/or TCP/IP interconnect in a single global namespace. We will discuss following terms later on in this howto, so it require you to understand them before proceed. The machine which mounts the volume (this may also be a server). 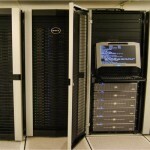 The machine (physical or virtual or bare metal) which hosts the actual filesystem in which data will be stored. A volume is a logical collection of bricks where each brick is an export directory on a server . A volume can be of several types and you can create any of them in storage pool for a single volume. Distributed – Distributed volumes distributes files throughout the bricks in the volume. You can use distributed volumes where the requirement is to scale storage and the redundancy is either not important or is provided by other hardware/software layers. Replicated – Replicated volumes replicates files across bricks in the volume. You can use replicated volumes in environments where high-availability and high-reliability are critical. Striped – Striped volumes stripes data across bricks in the volume. For best results, you should use striped volumes only in high concurrency environments accessing very large files. I will use three servers and one client for my GlusterFS installation/configuration. These can be a physical machines or virtual machines. I will be using my virtual environment for this and IP/hostname will be as follow. Two partition require on each server because 1 will be using for OS install and 2nd will be using for our storage. For OS I will be using CentOS 6.3 and GlusterFS 3.3.1. In EPEL repository 3.2.7 is available but we will go with latest version i.e 3.3.1. This is available through GlusterFS own repository. First we will add GlusterFS repo in our yum repositories. To do this execute following command. On Servers (host1, host2, host3) execute following command to install glusterfs server side packages. Start glusterfs services on all servers with enable them to start automatically on startup. On Client execute following command to install clusterfs client side packages. This we will later on use to mount the glusterfs on client. 3. Creating Trusted Storage Pool. Trusted storage pool are the servers which are running as gluster servers and will provide bricks for volumes. You will need to probe all servers to server1 (dont probe server1 or localhost). Note: turn off your firewall using iptables -F command. We will now create all three servers in a trusted storage pool and probing will be done on server1. Now its time to create glusterfs server volume. A volume is a logical collection of bricks where each brick is an export directory on a server in the trusted storage pool. Glusterfs gives many types in storage to create the volumes within: I will demonstrate three of them defined above and it will gives you enough knowledge to create remaining by yourself. Use distributed volumes where you need to scale storage because in a distributed volumes files are spread randomly across the bricks in the volume. Creation of volume dist-volume has been successful. Please start the volume to access data. 4.1.1 Accessing Distributed volume and testing. Now on client1.example.com we will access and test distributed volume functionality. To mount gluster volumes to access data, first we will mount it manually then add in /etc/fstab to mount it automatically whenever server restart. Use mount command to access gluster volume. Check it using mount command. Now add following line at the end of /etc/fstab file to make it available to server on every reboot. Now to test create following files in the mounted directory. All of the files created in mounted volume are distributed to all the servers. Use replicated volumes in storage where high-availability and high-reliability are critical because replicated volumes create same copies of files across multiple bricks in the volume. Creation of volume rep-volume has been successful. Please start the volume to access data. Where replica 3 is a value to create number of copies on multiple servers, so here we need same copy on all servers. 4.2.1 Accessing Replicated Volume and tests. Now same as distributed volume access using mount command. To mount gluster replicated volumes to access data, first we will mount it manually then add in /etc/fstab to mount it automatically whenever server restart. All of the files created in mounted volume are replicated to all the servers. Use striped volumes only in high concurrency environments accessing very large files because striped volumes stripes data across bricks in the volume. Creation of volume strip-volume has been successful. Please start the volume to access data. 4.3.1 Accessing Stripped Volume and tests. Now same as distributed and replicated volume access stripped volume using mount command. To mount gluster stripped volumes to access data, first we will mount it manually then add in /etc/fstab to mount it automatically whenever server restart. Now to test create following large file in the mounted directory on client1. The large file is stripped across volume successfully. Now we will see some of the common operations/maintenance you might do on gluster volumes. Now add the new brick from new probed host4. Check the volume information using the following command. Check the status should be completed. Check the volume information for confirmation. Be remember to unmount the mounted directory on your clients. 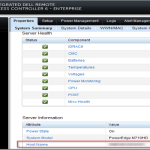 In this howto I will describe how you can enable ssh key based authentication on Dell Blades CMC IDRAC. This will help to manage large number of Dell Blades CMC’s in Datacenter specially in Cluster Environment. You might be using root/calvin or your defined user/pass to login in CMC for management work using web or ssh but to access Dell CMC on ssh key based authentication (password less), you need to use only service account. Dell CMC has limitation, you can only use svcacct (user=service) for ssh key based authentication. -t it can be either dsa or rsa, passphrase is optional, its depends on you whether you give or not. I will choose no passphrase. Confirm you have generated the public key. where id_dsa is your private key and id_dsa.pub is your public key. You will need public key to upload to Dell CMC. Fist assure you have install latest version of racadm package on your machine to do the task. The user for ssh key based authentication on CMC should be svcacct (service), others will not work. Check before upload your ssh key to Dell CMC that it has no other keys already define, you can have 6 different keys at one time for svcacct. where p is for privilege (here we are giving full) and -f for the ssh public key file. It will help you to manage large of CMC’s you have in your Data Center specially in Cluster Environment. Node health (hardware/software) is very critical in cluster environment. Whether you run a lot of web servers in load balancer or having compute node in High Performance Computing setup, each node is critical which is been used for any type of work. It has to be healthy to run processes we need to run. This script created to check node health before using as a compute node or any service in load balancer. If all checks run fine then node will be mark good and will available to run in production. GPL. You can add/edit/delete script to fit your need. Please do share your edit to enhance the script. Script is created using functions. Every check is based on function, so to perform any check or not is depends on whether you call the function or not. Just make to call function or not in the Main Section of the script and it will run as per your need. Even you can add/edit/delete as per your need to make changes in script. Following checks are made as per my need. You can create your own checks and add to the script for enhance checking. # Detail: To Check Single Node Health. # Functions: You can load/unload any function you need to run or not to run. To run the script run following command. You can add/edit/delete any function inside script to meet your need but do share your edits to let us improve the script for maximum checks. In this how to I will describe how to enable NTFS support in CentOS 6.3. By default CentOS 6.x doesnt comes with NTFS support to mount NTFS partition either on hard disk or usb drives. Fedora provies EPEL repository for Red Hat Enterprise Linux. EPEL (Extra Packages for Enterprise Linux) is a volunteer-based community effort from the Fedora project to create a repository of high-quality add-on packages that complement the Fedora-based Red Hat Enterprise Linux (RHEL) and its compatible spinoffs, such as CentOS and Scientific Linux. 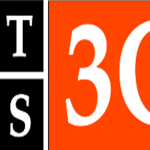 NTFS drivers ntfs-3g is available through EPEL repository. Enable EPEL repository using following command. The above command will install ntfs-3g package which bring NTFS support to your CentOS 6.3 installation. Just plug in your ntfs usb drives or use mount command to enable ntfs hard drive partitions. In this how to I will describe how to install ATI Radeon Drivers in Fedora 18. Fedora 18 fresh out and ATI latest driver version 13.1 dont support it. I also checked the older version i.e 12.8 and 12.6 but all of them unable to install on Fedora 18. In future they will provide right drivers for Fedora 18 but for now you can install akmod-catalyst beta driver from rpmfusion repository. After installing from Live image to hard driver, first update your kernel and then install Development Tools group to provide all necessary tools for your system. We will require rpmfusion for driver installation so enable rpmfusion repository for Fedora 18 using following command. Install ATI driver using rpmfusion repository. The above command will install akmod-catalyst with all dependencies require for it to run. After this you need to run following command to create new initial ram filesystem with updated ATI beta drivers. Reconfigure xorg using aticonfig to use ATI drivers.